Having significantly upped the profile and commitment to greeting cards in its stores, Aldi is now also singling them out as part of its environmental pledge. At a time when the two separate trials of ‘card departments’ being run with Card Factory and IG Design Group (see separate story on this edition of PG Buzz) are being rolled out into ever more stores, thereby extending Aldi’s greeting card offer into everyday and occasions, the fast growing grocer has announced that all of its 2019 Christmas cards and giftwrap will be plastic glitter-free. There will be no plastic glitter used on its 2019 Halloween products either. Above: None of Aldi’s Christmas cards or wrap this year will feature plastic glitter. This is all part of the supermarket’s new pledge to remove all non-biodegradable glitter from all products by the end of 2020. “We want to be sure our customers can enjoy key events without compromising on sustainability – which is why we’ve promised to remove all non-biodegradable glitter from all of our products by 2020,” states Fritz Walleczek, managing director of corporate responsibility at Aldi UK and Ireland. Karen Hubbard, ceo of Card Factory confirmed that it was gearing up to ensure that all of its cards that it supplies to Aldi will be free of plastic glitter from November 2019 while Design Group UK, which is also supplying everyday cards in Aldi stores in other parts of the UK will also ensure there is no plastic glitter on its designs by the start of 2020. 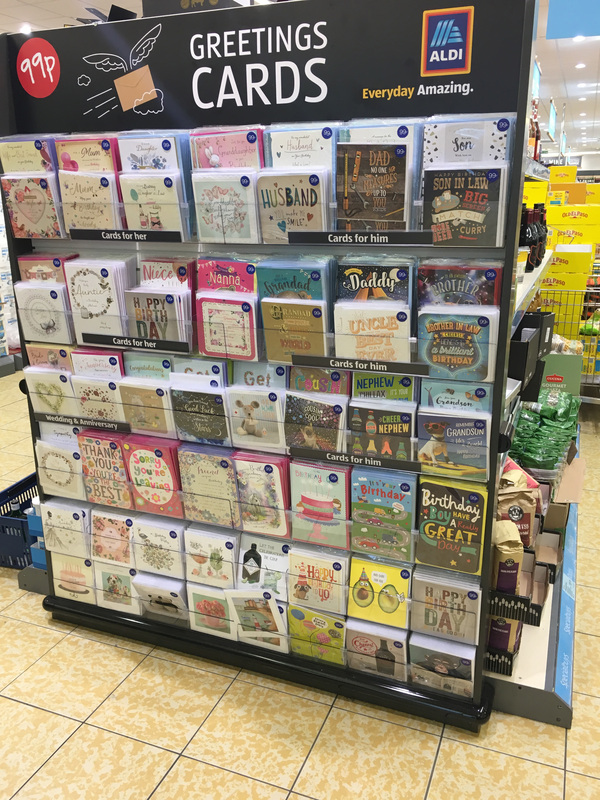 Above: Having started in 12 stores, Card Factory’s trial of a card display with Aldi has been extended to 121 stores. By November none of the cards it supplies will feature plastic glitter. Aldi making significant strides to cut plastic in its stores, having committed to using only recyclable, reusable or compostable packaging on its own products by 2022, and on all products by 2025. 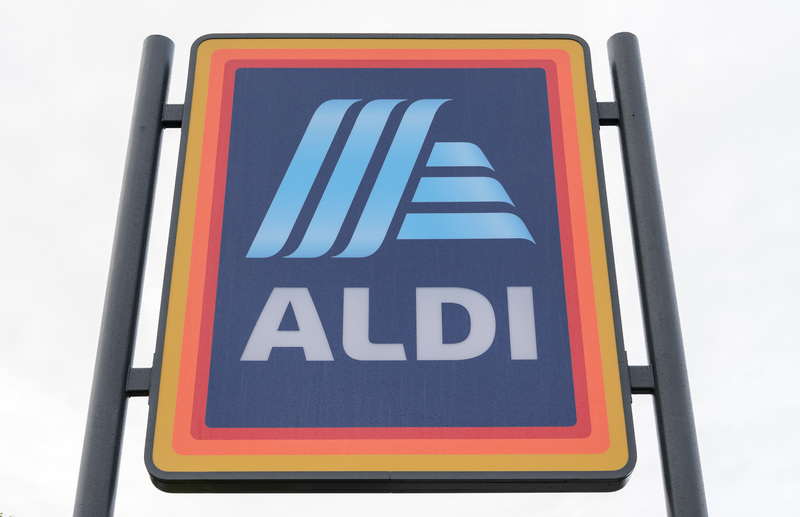 Top: Aldi is trialling a new brand identity at its Balham store to help shoppers distinguish between its smaller city stores in London, of which it now has five, and the conventional sized Aldis.